NGO Monitor, which studies the treatment of Israel by supposedly non-affiliated and apolitical volunteer and civic groups, has accused Human Rights Watch (HRW) of once again leveling false charges against Israel. According to NGO Monitor, HRW accused Israel of attacking “journalists” in Gaza during Operation Pillar of Defense, but the charge “is false both legally and factually, and the timing of this release appears to be a cynical attempt to divert attention from many scandals currently plaguing the organization,” NGO Monitor said. "This is yet another example of HRW's systematic lack of credibility and its biased approach to Israel," said Prof. Gerald Steinberg, president of NGO Monitor. "Calling a military attack 'unlawful' is a serious charge, which should not be made lightly. But HRW cannot substantiate these allegations." HRW claims, without any military expertise or necessary information, that the targets in the Israeli strikes were "making no apparent contribution to Palestinian military operations" and were not valid "military objectives." HRW clearly has no knowledge of the military intelligence possessed by Israeli commanders at the time of the strikes, or the military and moral concerns that guided their thinking. But contrary to HRW's claims, its employees cannot possibly know the "intent" of the commanders who ordered the attacks, NGO Monitor said. In addition, international law is clear that neither the presence of civilians during an attack nor the fact that civilians were tragically killed means that the attack was unlawful. Moreover, NGO Monitor notes that contrary to HRW claims, the targets included four senior Islamic Jihad combatants that were directly involved with the planning, manufacture, and execution of rocket attacks on Israeli civilians and other attacks, the group said. "As with most of the NGO's claims in previous conflicts, HRW's 'evidence' is without substance. The organization presents no proof whatsoever that the targets involved were not being used for military operations or that the 'journalists' were not Hamas and Islamic Jihad fighters," noted NGO Monitor legal advisor Anne Herzberg. "HRW's bogus charges ignore that Al Aqsa TV is a globally designated terrorist by the US government and they appear to be based on self-serving statements by a Hamas official. The Israeli government does not owe this totally discredited and biased organization any explanations. 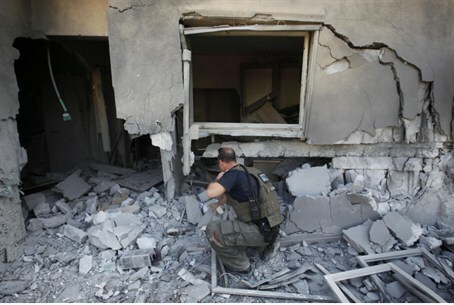 Just because HRW claims something is a war crime does not make it so." The ease with which some media outlets continue to quote HRW's long discredited allegations, without any independent analysis or due diligence, is also disturbing, the organization added.